Here at Jive Entertainment, we understand you’re planning a very important event, your WEDDING – the most important day of your life. We know you want to leave the DJ entertainment in the hands of professionals who are fully trained and capable of handling your event, skilled enough to read the dancefloor and create a lively and fun atmosphere for your guests to dance the night away; and most importantly, you want a DJ who listens to you. We have a combined 15 years experience in Wedding DJ Entertainment. We help you in planning your event, and make the whole process stress free and exciting. Using our very detailed Wedding Event Planning Documents which give the DJ every little detail about your event, your event will be custom tailored to fit your EXACT needs and expectations. Upon hiring Jive Entertainment, you will have constant contact with a Customer Service team member and the DJ for your event. We will continue to work with you in making your event, the best night of your life. You can customize your Wedding DJ package by adding our other services at a discounted rate such as: Ceremony music including an unintrusive sound setup with a PA system, music, and wireless microphones; Event Lighting like uplighting, gobo monogram, and pinspot lighting; Event Decor like linens, chairs, and tables; or a Video Montage complete with montage creation, projector, and a tripod screen. We’re confident that our unique blend of talented DJs and Wedding Professionals, state-of-the-art equipment and music libraries, along with our unparalleled creativity and customer service will help you have the time of your life. You custom-fit your package by adding Ceremony Sound to your Wedding DJ Package. We can enhance your experience by adding our state-of-art sound system to play background music at your ceremony. Our sound specialist can work with you to create a unique ceremony play-list featuring prelude music, processional, bridal party, bride’s entrance music, and interlude music. This add-on package can include: lavalier (clip-on) microhphones, wireless handheld microphones, unintrusive out-of-sight state-of-art sound system, background music, and an additional staff member in control of the ceremony sound system. Our DJs can provide Monterey’s Premier DJ service for your wedding reception. Our Wedding DJs will administer your entire event and make sure the wedding reception is running as smoothly and as worry-free as planned. Prior to your wedding, Monterey Entertainment will setup a free consultation with a Jive Entertainment Certified Wedding Entertainment Expert. During the consultation we will plan your event with our Wedding Reception Planner down to the very last detail. This will assure that your disc jockey has prior knowledge to make your event successful, unique, memorable, and most of all, fun! We guarantee that the Jive Entertainment disc jockeys will satisfy your crowd! Our Monterey Wedding Reception disc jockeys, will create a fun and lively atmosphere to ensure the time of your life! We not only assure you’ll be 100% Satisfied with our services, we guarantee it. 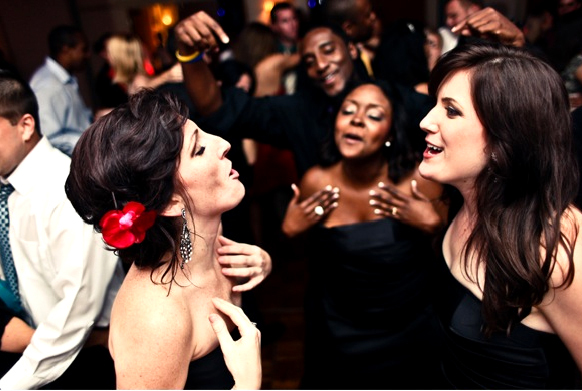 We are the unsurpassed option for a Monterey Wedding Reception DJ. Contact us by using our online contact form on the contact us page or call us now to speak with a customer service representative at 831-240-4430.